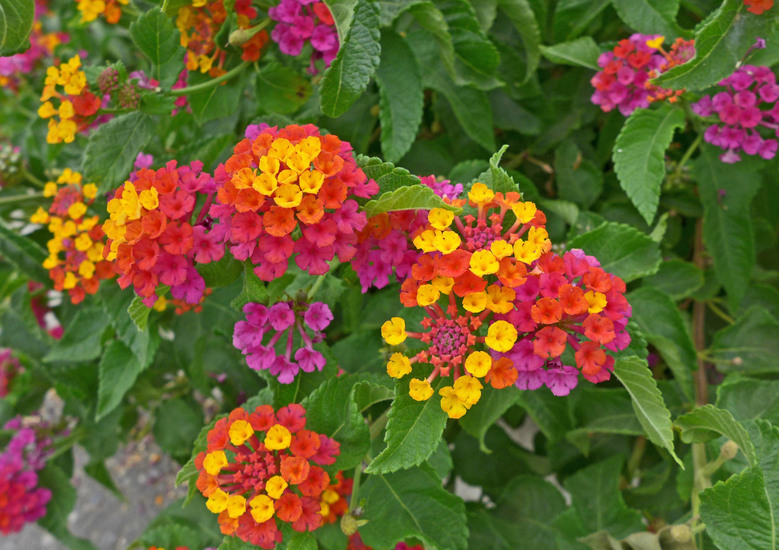 Lantana camara (lantana) is a shrub (family Verbenaceae) with a multicolored cluster of flowers and fragrant oval-shaped leaves found in the central and south coast ranges of California. It is native to the Caribbean. It favors grasslands, woodlands, and riparian and bottomland habitat. It produces seeds and spreads through its roots. Birds, sheep, goats and water may disperse seeds.